The law of attraction is as old as the universe itself, yet very few seem to understand it. Simply put, the law states that what we think about we become. Our mind is the most powerful force in the universe, yet the majority of people never even consider the central role their mind plays in their success. Since the beginning of time politicians, business leaders, and great warriors understood and utilized the law to get the edge in life. In fact, this concept is so powerful it could be your only missing link to living the life you’ve always dreamed of. If you study great philosophers one thing you will notice is they don’t agree on much, but there is one central theme that everyone agrees on. The only thing they seem to agree on is you become what you think about, so guard your thoughts very carefully. Over the last ten years, I have studied some of the greatest self-improvement gurus on the planet including Tony Robbins, Stephen Covey, Tai Lopez, Bob Proctor, Jack Canfield, and more. Each of these legendary teachers has their own unique message, but after more than a decade in the business, I have started to notice something that they all have in common. Yes, I’m sure you guessed it, all of these teachers know about the law of attraction and how to apply these principles into your life. In the early 1900’s a man by the name of Napoleon Hill wrote the best-selling book Think and Grow Rich. Hill traveled around the United States for years studying the biggest names in business and finance at the time. His goal was to discover if there was one common link that all these successful people had in common, and by the end of his research, he found it. In his book Think and Grow Rich Napoleon revealed that our thinking was the main indicator which determined if we would be successful or not. In fact, after all of my years of study I have not found a single reputable self-improvement guru that hasn’t claimed that the law of attraction was the primary reasons they had their success. Check out these amazing quotes from some of the greatest minds the world has had to offer and see if you can see a pattern in their thinking. Do you want to grow as a person? The first step is to set big goals. The act of setting a big goal will help direct and guide you in the direction of your dreams. Those who do not set goals are like a ship that leaves the dock without a direction to sail. It’s important to set goals and then you must have the persistence and the willpower to see these goals to their completion no matter how long it takes. 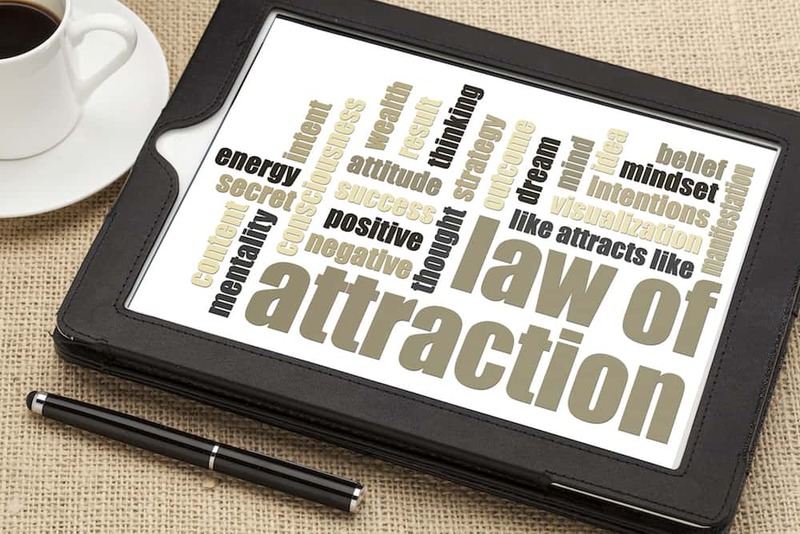 If you really want to be successful I would suggest reading this list of the top 25 law of attraction quotes every single day until you accomplish your dreams. To get more coaching, click here.